Hendrix Genetics and Salmones Aysen have announced the signing of a Genetic Service Agreement. With this agreement in place, Hendrix Genetics will direct the coho salmon breeding and genetics program to advance product performance for the Chilean market. 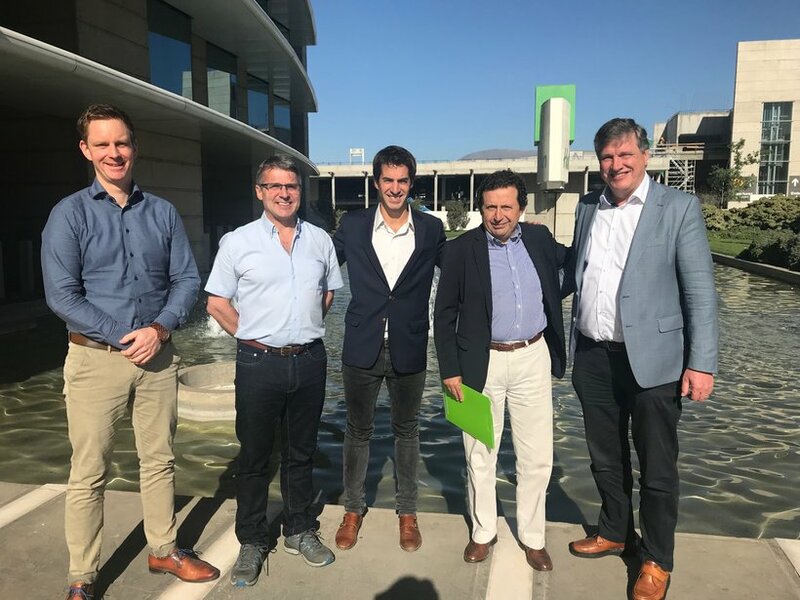 Dutch-based global breeding company, Hendrix Genetics has announced a deal with Salmones Aysen to provide genetic and breeding support for their exclusive coho salmon strain in Chile. Salmones Aysen is one of the largest dedicated coho salmon producers in Chile, with a reputation for quality production and premium branded products. Hendrix Genetics will direct the breeding program and will integrate innovative technologies, such as genomic selection, to advance the quality and performance of the coho salmon strain. In addition, Hendrix Genetics will support broodstock and egg production management and will analyze data collected from breeding and processing. This partnership will allow Salmones Aysen to tap into the expertise and resources of a global, multi-species breeding company. The result will be a combination of an advanced genetic program and operational practices to deliver high quality products for Chilean industry. This partnership is a natural complement to Hendrix Genetics’ owned Atlantic salmon breeding and egg production operations in Chile. The Atlantic salmon operations serve a growing demand for eggs based on high health status, proven commercial performance, and year-round availability. Neil Manchester, Managing Director Aquaculture of Hendrix Genetics states,’ We are delighted to work with Salmones Aysen. Like Hendrix Genetics, Salmones Ayes is a family company with strong values and an entrepreneurial spirit, and we are convinced that this partnership will deliver significant results’. Hendrix Genetics BV, headquartered in the Netherlands, is a leading multi-species breeding company with primary activities in turkeys, layers, traditional poultry, swine and aquaculture breeding. Backed by a strong portfolio of leading brands, Hendrix Genetics provides expertise and resources to producers in more than 100 countries, with operations and joint ventures in 25 countries and nearly 3,400 employees worldwide. Hendrix Genetics is developing an increasing global presence in aquaculture breeding having been a pioneer in the development of genetic and genomic technologies since the 1990’s, with Atlantic salmon breeding and egg production operations in Scotland and Chile under the brand name Landcatch, trout breeding and egg production operations in the USA, Chile and UK under the brand name Troutlodge, and now shrimp breeding operations in Hawaii, Malaysia and Ecuador under the brand name Kona Bay. Salmones Aysen S.A. is a Salmon Farming company dedicated to the production and distribution of Coho (Pacific) Salmon with offices in Chile ( Santiago and Puerto Montt); Japan ( Tokyo) and USA (Seattle). Through a team of seasoned professionals in the Salmon Industry, Salmones Aysen controls every stage of the productive chain, guaranteeing the highest quality standards demanded by different markets around the world.